Development time, design quality, economical price define competitiveness of products. It is necessary to apply optimization design with Cad/ CAE. 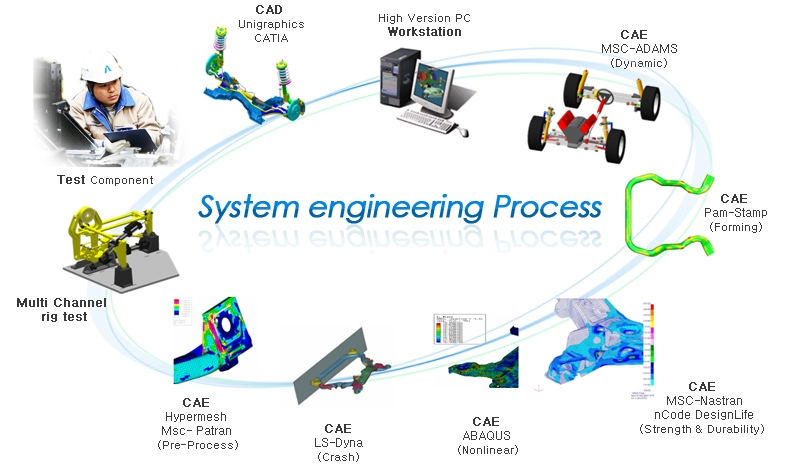 Austem R&D center satisfies customer’s needs with design equipments such as Unigraphics, Catia and applies optimization design through structural, durability, dynamic, and stamping analysis.